Everything meal needs something to go with it! There are so many side dishes that can compliment any meal! From Corn to Slaw to our incredible Garlic Potato Wedges and many more, find the perfect side dish! Start putting some excitement back into your meals with our awesome side dish recipes! 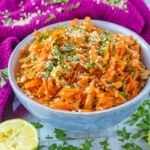 This Carrot and Coriander Salad is a light and sweet salad that is delicious with a curry. A great way to add some extra vegetables to your meal and bursting with flavour from all the herbs and the soy and sesame dressing. These Oven Baked Hash Browns are delicious rounds of crispy shredded potato and are not an everyday breakfast item, but one we like to enjoy at the weekends as a little treat when we have some time. 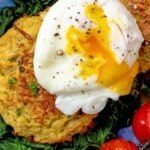 Usually deep fried, we have oven baked these homemade hash browns to keep them lighter. 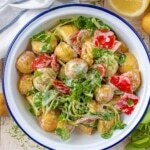 Our lighter No Mayo Potato Salad uses Greek yoghurt instead of mayonnaise, and is less than 150 calories per portion. 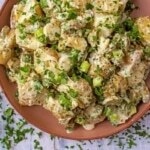 If you want all of the flavour and creaminess from a potato salad, but less of the calories and fat, then give this potato salad with yoghurt a try at your next BBQ! 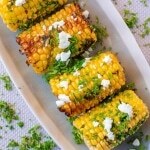 Corn on the cob is an easy and delicious addition to any BBQ this summer and this Grilled Corn with Herb Butter is a great way to use up leftover herbs and feed hungry guests at the same time. Mint, parsley, basil, use what ever you have and mix it with some butter and garlic and smother it on corn before wrapping it up and putting it on the BBQ grill. Coleslaw is a must at every BBQ, but why not give it a green veggie boost by adding some broccoli to it. 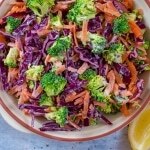 This Broccoli Slaw has a nice crunch to it and all the creaminess that you know and love in a coleslaw, but with a healthier twist. This creamy Greek dip is packed full of cucumber with a hint of mint, lemon and garlic and has so many uses. 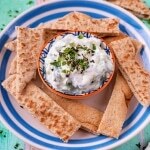 If you are a fan of Greek food, then you will have had tzatziki before, so we are showing you how to make tzatziki. The BEST tzatziki. We have a super easy recipe for you today! Just 5 ingredients and you have a dish that you can use so many different ways. 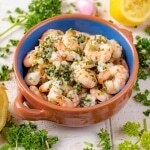 These Lemon, Garlic and Herb Prawns (Shrimp) are the perfect addition to any tapas spread, but can also go on a salad, stirred in to pasta or in tacos.